Divestment can be a powerful tool for social change. The successful campaign for divestiture from South African companies during Apartheid is likely the most well-known of these campaigns. However, recognizing the powerful message that these campaigns can send and arguing that climate change is the defining moral challenge of this generation, a number of student groups have begun calling for divestment campaigns among university endowments, targeting at fossil fuel interests. Reactions to these campaigns have been limited and the campaigns have, thus far, failed to find much success. Harvard University responded to the divestment calls on their campus by saying, in effect, that divestment would only reduce the returns of the endowment and there is a strong presumption against divestment for any reason unrelated to the financial strength of the endowment. While climate change is undeniably a challenge, and one that certainly has moral implications, it obviously does not generate the same visceral reactions that institutionalized racism did. 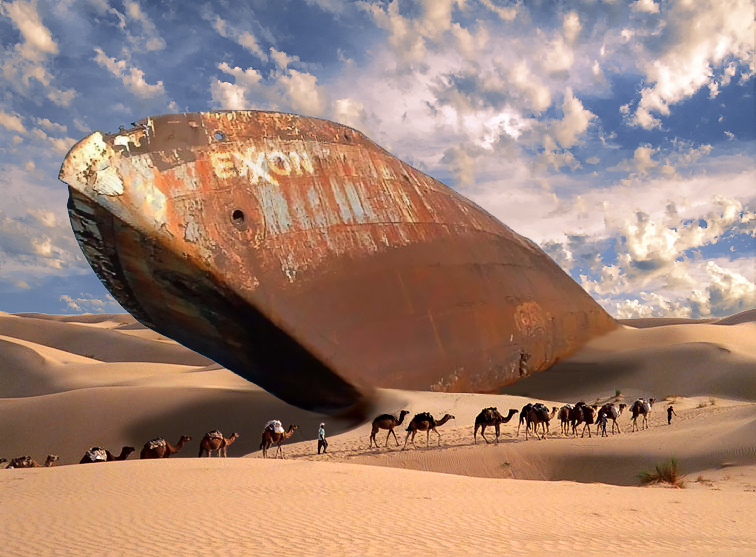 Moreover, the proponents of fossil fuel divestment face an uphill battle attempting to force the divestiture of some of the most profitable companies on the planet. The fact that these companies offer substantial returns and their actions are not easily defined as immoral are the crux of the argument against divestiture. But what if there was a business case for divestiture? What if the fiduciary obligations of fund managers required them to seriously consider divesting from fossil fuel companies? Companies which continue to invest in the development of assets like the Canadian Tar Sands are, in his view, simply pouring money into projects which are likely to become very expensive stranded assets. In recognition of the increasing importance of considering the value of these stranded assets in assessing equity investments, Bloomberg recently announced the release of a new carbon risk valuation tool. Echoing the words of Mr. Longstreth, the company positions the tool as a method of assessing the “potential impact of [asset] stranding on a company’s earnings and share price” given the rising recognition that “climate change policy could induce the stranding of some conventional assets.” While only a first pass, the tool is notable because it suggests that the notion of divestiture for purely financial reasons related to climate change – completely apart from the any moral or social consideration – is legitimate. Bloomberg is in the business of helping people make money, not suggesting that they be socially conscious. If it is worth the capital investment for them to develop a tool that explicitly considers assets stranded by climate change, then it suggests a failure to consider these assets may be financially costly. While divestiture based on climate change may lack the moral imperative of apartheid, the tool suggests that the claim that divestiture is financially irresponsible is beginning to ring a little hollow. If there was ever an example of a “whole calling” lagging in its acceptance of a scientific fact and so universal in its disregard of imperative precautions, it is society’s response to climate change. It is happening, the science is understood well enough to be the basis of action, and the necessary action is clear. Our failure to act as a society will not protect fund managers who fail to divest and are left holding a portfolio of worthless assets. The case for divestiture then is not a moral one; it simply makes good financial sense. Patrick Behrer is currently a PhD candidate in Public Policy at Harvard University and the Editor in Chief of S&S. Prior to Harvard he earned a Masters in Natural Resource Economics at Colorado State University and was a Fulbright Fellow in Environmental Management in New Zealand.